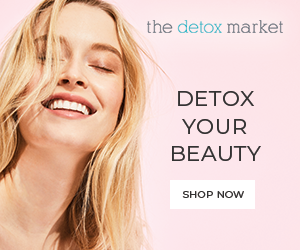 ​Parties, social events, work, school, or even going to the grocery shop, we all want to look flawless because, well, why not? It feels good right? In order to achieve a pretty look, you don’t just need good makeup or blemish-free skin. In fact, sometimes the tools used when putting on makeup are more important than all that. This is why today we’ll discuss one of those tools, probably the most important one: Lighted vanity mirror. 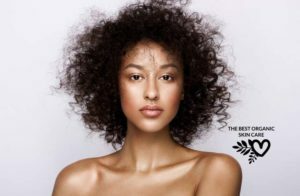 ​You might think a simple mirror is enough however light is crucial if you want to achieve that even tone of the skin, especially if you do contouring. After all, you don’t want to end up as an Indian warrior or with a beige-pink contrast between the face and the neck. Yikes! 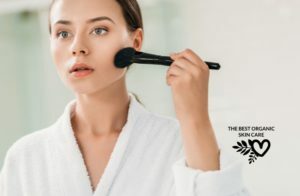 ​Just as with choosing most of the products out there, vanity mirrors are numerous and they all promise something, but delivering the promised is a whole other story, which is exactly why I’ve decided to make a list of the best 12 out there that will really show what you’re made of (or your face at least). The first and most important thing to consider is the lights. When you’re buying a stand-alone mirror, you usually have to take what the manufacturer gives you. The best lights for makeup application are white LED lights, with fluorescent lights in second place. Stay far away from any mirror that uses yellow lights, as they can really skew your skin tone and make it hard to apply makeup. Some vanity mirrors have dimmable lights. Usually, when you’re applying makeup, you want bright white light for accuracy and so you can see the colors properly. However, if you’ll be spending the night in a dimly-lit nightclub, it can be helpful to have the option of lowering the lights to get an accurate image of what you’ll look like at your destination. The size of the mirror also matters. Some mirrors are large and some are small. Some have fold-out sides so you can easily see your hairline and get a look at your profile. You’ll want to make sure that the mirror you choose allows you to see your entire face – and that it fits in the space you have available. 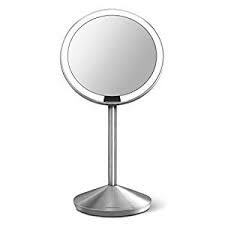 Some vanity mirrors are two-sided with one regular mirror and one magnifying mirror. A magnifying mirror can be very helpful for plucking your eyebrows or applying eye makeup, so keep that in mind. Another consideration is the placement of your mirror. Is it meant to sit on a table or hang on a wall? The model you choose will depend on your personal preference and where you intend to put the mirror once you buy it. Portability may matter to you, and if it does you should choose a lightweight mirror. Finally, the price is always a consideration. ​It’s lighted, and it’s portable which is something everyone should consider. I liked this mirror for its no-glare surface and automatic color correction. Additionally, here are the main points why this one is for you and some why you might want to look for another one. Fluorescent lights have three different settings for easy makeup application at any time of day. The mirror includes automatic color-correction to ensure that you always see colors the way they are. Four AA batteries, cleaning cloth, and spray bottle are all included. This mirror does not have a magnifying side. It can be tricky to get this mirror to set at a comfortable angle for makeup application. The lights may be too bright for some people. 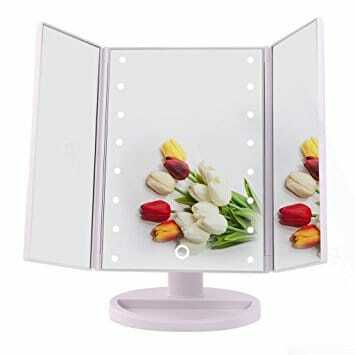 Double-sided mirror has one regular side and a magnified side for close-up work. Halo lighting provides a soft, even glow so you can see your entire face clearly. Anti-fog coating prevents this mirror from steaming up in the bathroom. The lights may not be bright enough for some people. The frame of the mirror may heat up with prolonged use. This is a relatively small mirror and may be too small for some people’s taste. This is a great mirror for travel and outdoor use. 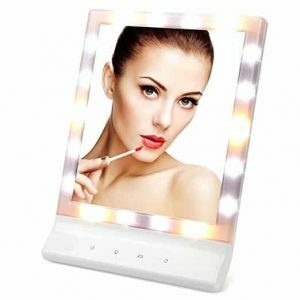 There is no better way of boosting self-confidence than using a lighted mirror with 10X more magnification to accentuate the finest or easily unnoticeable makeup details like blurred dark spots or unwanted facial hair. Room lighting varies greatly from natural lighting, which is the culprit of those times when your makeup looked flawless when you were home, but suddenly looked uneven as soon as you got to work or to that special event. One of the most impressive features of this lighted vanity mirror is the ability to detect all these details under natural daylight. 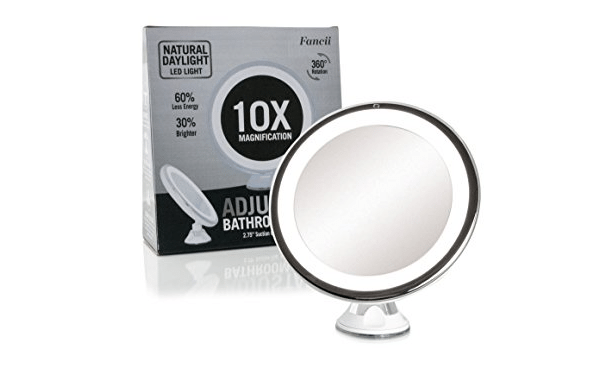 These are the unique features of this cosmetic mirror from Fancii. It can also be folded to less than half square foot of surface making it perfect for those awkward squeezes during subway or plane rides. It has a 360-degree adjustable swivel that makes it possible to adjust the mirror to any angle that fits you best. It also has an easy-lock suction mechanism that provides a firm and secure grip when attached/mounted onto another surface. 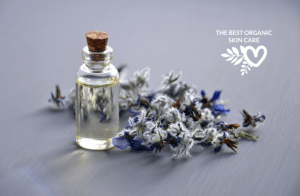 One of the fancier choices here on The Best Organic Skin Care, the Gotofine mirror will meet all your expectations while looking sleek in any setting. I loved it for its touch button with which you can adjust the lighting intensity and the fact that it can work with batteries but also with a cable making it portable and static. While the mirror is narrow and may not be large enough for some people, its 10x magnification spot allows you to check things up close so you don’t have to worry about leaving some detail behind. Touch sensor on the mirror allows you to easily adjust the brightness of the lights. 10x magnification spot allows you to check things up close. This mirror can run on batteries or with a cable, which is included. This does not come with a full-size magnifying mirror – just a spot that attaches to the regular mirror. This mirror is narrow and may not be large enough for some people. The batteries have to be changed fairly frequently. By far the best pick for wide angle view. If you’re in the market for a vanity mirror that provides a wide view for your makeup sessions, then you need to go with this beautiful mirror from Easehold. 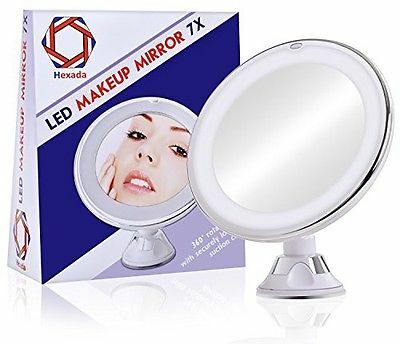 The lighted makeup mirror has 21 pcs of LED light that helps to provide advanced illumination in dimly lit areas and can help you spot any errors that are not easily noticeable in the literal light of day. It features a tri-fold design that makes it convenient to carry and easily protects the inner surfaces from scratch and dust while not in use. Though it cannot produce power itself, the makeup mirror is USB chargeable and can be powered by 4 AAA batteries. It has a stable stand that offers 180-degree rotation and can be mounted on any smooth and flat surface. In addition, the base recess of the stand has a convenient space that can hold your cosmetics and jewelry. If you’re looking for functionality and quality, the Big House lighted mirror is what you’re searching for. We live in an era where we have fallen in love with touch sensor technology. 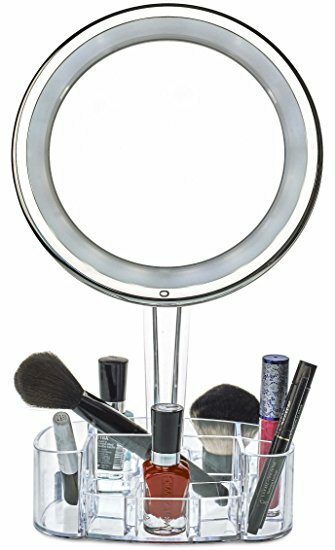 If you prefer it too, then this vanity makeup mirror by Big House will be the most useful cosmetic accessory in your bathroom. The mirror provides a wide view, making it more convenient and easier to apply makeup. The middle mirror, which has LED lights, is 9.5 inches tall and 6.5 inches, complemented by two side mirrors making the total width 13.5 inches. It also offers 3X more magnification for enhanced details during makeup. The mirror with lights can be powered by both batteries or through a USB cable that makes it possible to use a powerbank while camping or traveling. It has 21 LED lights that provide efficient lighting in any dimly lit space. It can also be folded to protect it from dust and scratches, as well as add to the convenience while traveling with the mirror. It also has a 180-degree swivel adjustable pedestal grip stand that allows easy adjustment during makeup. The pedestal stand has a base that can hold cosmetics and other items. The mirror is made of high-quality materials of ABS and strong plastic, which is anti-oil and anti-fingerprint. This makes it one of the high-quality beauty makeup mirrors on the market. 7x magnification makes it easy to apply makeup and does other tasks such as tweezing. The lighted mirror is easy to adjust and sits easily on any tabletop or counter. The acrylic base has compartments to hold makeup, brushes, and accessories, so it doubles as an organizer. This is a true magnifying mirror, so if you want to see your total look you’ll need to look in a standard mirror to do it. The mirror itself is rather small and may not be ideal for some people. This runs on batteries and that may not be convenient for some people. 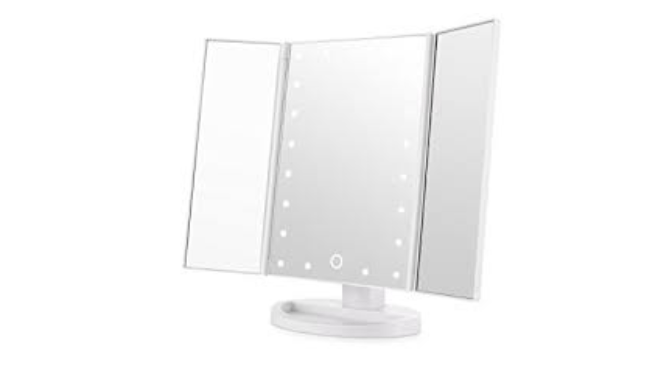 If you’re a practical person looking for something conveniently designed, the x7 vanity mirror is the product for you. Perfect application of makeup requires the combination of both natural and white LED light that helps you to detect any places on the skin that requires close attention. 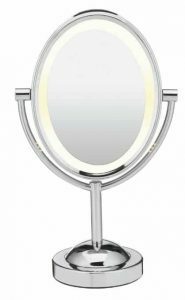 The best tool to help you achieve this can be found with the Secura 7X vanity mirror.The mirror provides both white LED and natural warm lighting making it the ideal setting for perfect makeup sessions. It is battery-operated, which makes it wireless, adding to the convenience and safeness of the product. The lush and compact design features an attractive ivory-colored exterior with chrome accents. The mirror has a wide view of 7.1 inches and has a locking suction cup base that provides a 360-degree swiveling of the mirror. It requires a mounting space of about a 3-inch square surface, making it perfect for tight spaces. Hexada has created a compact and lightweight mirror which is the perfect portable accessory for any makeup at any place – whether at home, traveling or in a washroom at the office. The mirror is foldable and weighs less than 10 ounces, making it practically unnoticeable while carrying it in your purse. If you’re looking for a battery-powered mirror that’s not only perfect for travel but easy on the wallet, then check out their LED light makeup mirror. It features a 7X lighted magnification on a 7-inch diameter glass, perfectly optimized for your beauty routine needs. It has a powerful suction cup that allows it to be mounted on any smooth surface with a solid hold. 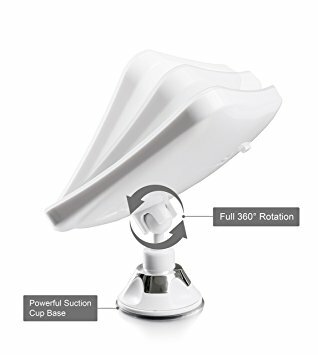 The base of the suction cup has a swivel ball joint, making 360-degree adjustment simple. With the purchase of the mirror, you receive a free makeup ebook should you be a little makeup-challenged, and a microfiber cloth, making it easier and safer to clean the surface. Elegance, beauty, and style are the core principles of a stunning makeup job. Simplehuman kept this in mind when they designed their vanity lighted mirror that is controlled by the innovative technology of laser sensor which detects the presence of a human face. To complement the style of the 5-inch mirror is the rose-gold color scheme and a tru-lux lighting system that simulates natural light. The mirror offers 10X perfectly-optimized magnification, which combined with the thru-lux light provides you with the perfect environment for your beauty routine. The sensor mirror has the ability to detect faces and lights up upon detection. It is rechargeable by way of a USB port. A single charge can last up to five weeks, thanks to the unique long-lasting surgical grade LED bulbs, which are also energy efficient. The mirror is weighted on an adjustable stand that pivots up to 180 degrees, ensuring the mirror stays in its place. ​Now that you’ve seen your best options, what seems the most suitable for you? Feel free to leave your opinions and experiences in the comments below. Thanks so much for comparing the many options on the market. I have to admit that until I got to the Simplehuman review it seemed like they were similarly priced at under $50 so it was a little bit of a toss up. The Simplehuman has much better magnification capabilities and a charge that lasts up to 5 weeks which is pretty amazing. The only drawback is the cost – $129! I’m kind of surprised at such a huge jump in price but it does sound like the features warrant a higher price. Aren’t there any other lighted vanity mirrors in the $50-$75 range that you’d recommend? Hy Lynn, for the price range you are looking for, I like the Conair Natural Daylight Double-Sided Mirror. It is in the $60 range. I also like the WanEway Lighted Vanity Mirror with Dimmable LED lights and Touch Control. It is in the $90 dollar range. First, what is the most ideal magnification for a mirror? I know that your post is primarily about the importance of using an illuminating mirror while applying makeup, but you did mention that magnification would be useful for more detail-oriented tasks. Second, how do you keep your mirrors clean? Every now and then, dust could collect on your mirror or your fingers could smudge the mirror. Would Windex be an appropriate cleaning solution or is there a different glass cleaner with less harsh chemicals I could use? 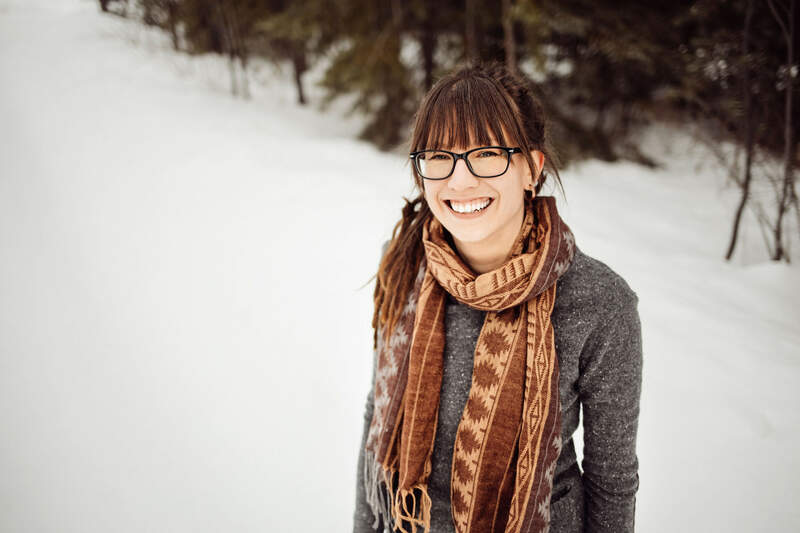 Thank you again for your blog post. I look forward to reading your response! Hi Arleen, mirror magnification is a personal preference. 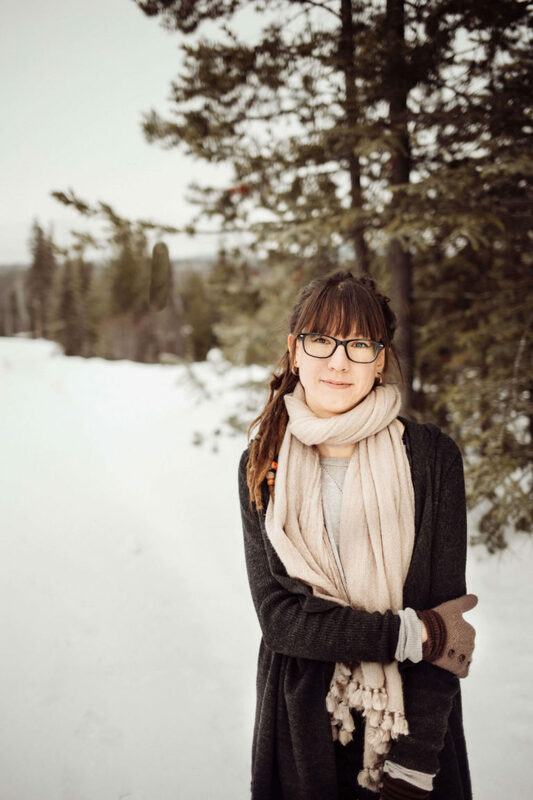 People with poor vision may opt for a higher magnification such as 10x or 15x, but these levels of magnification may be too strong for others, and distort their reflection more than they would like. A good general level of magnification is 5x, it isn’t too strong to cause distortion, but gives you a clearer view for putting on makeup. For cleaning your mirror, you can use regular windex or some other window cleaning spray, or you can use warm water with a little soap and a clean sponge. What a great idea to get a mirror with LED light on it. My daughter spent a lot of her times doing makeup in front of the mirror. Sometimes, because of the light she go to the bathroom using the big mirror inside. I would consider to ask her get one at your recommended Amazon store. 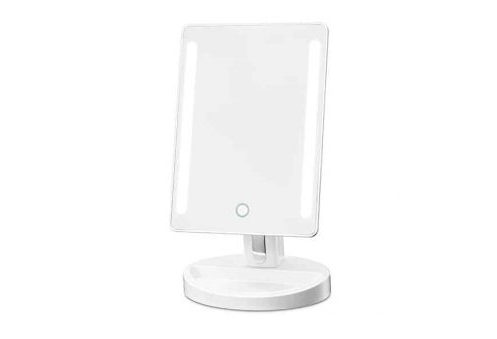 Personally I like the YTE Vanity LED Cosmetic Mirror, it cost $25.99 online. Good deal!